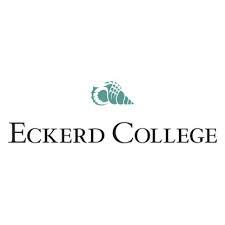 Eckerd College invites students to THINKOUTSIDE. We take advantage of our spectacular mile of campus waterfront along the Gulf of Mexico for outdoor laboratories in Biology, Marine Science and Environmental Studies as well as for an impressive array of intramural, club and intercollegiate sports and water recreation. Every year, students and faculty travel outside the U.S. together to some 40 foreign countries for research and cultural learning, including our own dedicated study centers in China, Peru, and London. And we venture together in the Eckerd experience to think outside conventional questions, methods, and solutions, seeking to build a better world through a liberal arts education.